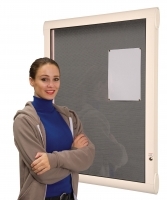 External weather-proof and weather resistant lockable notice boards on sale now! Nationwide delivery, product helpline and easy on line ordering. 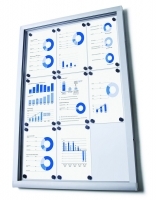 Often referred to as lockable outdoor notice boards, these external display boards are a stylish way to display information securely outside, protected from the weather. For further information or to get a quote call our helpline number Mon-Friday, 9-5 or email us out of hours from the contact us page.